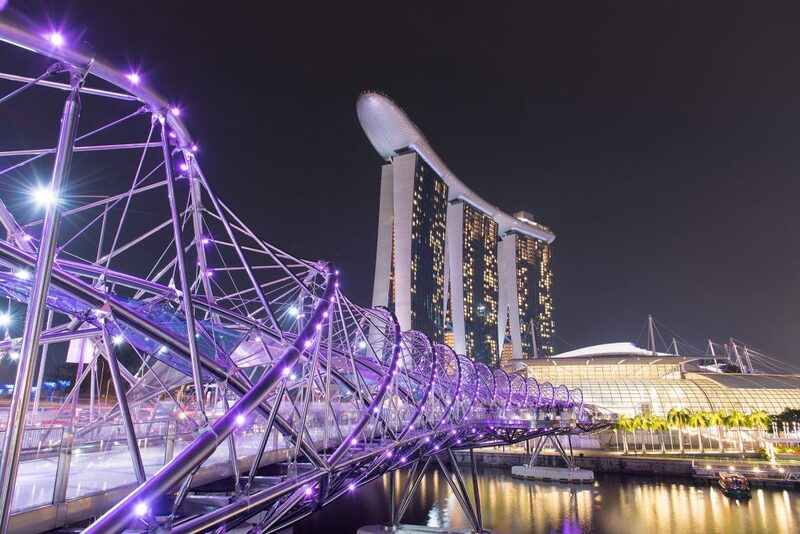 Singapore is an island where the old and new thrive side by side, where landmarks from the British Colonial period are juxtaposed with the latest in contemporary design and feats of engineering ingenuity. Over the years, these different architectural styles have merged to become the urban landscape, which is recognisably and uniquely Singapore. This charming complex on Victoria Street was once home to a Catholic convent school, dating back to the 1800s, with its orphanage and Gothic chapel. These days, its peaceful courtyards and covered Italianate walkways are home to performance spaces, shops selling arts and crafts from Thailand, Malaysia, India, China and the Philippines, and restaurants serving many different types of cuisine. CHIJMES hosts parties, musical and theatrical performances and is a popular choice for brides and grooms to pose for their wedding photos. It’s a lovely place to wander around, have a bite to eat and soak up the atmosphere and is open until the early hours of the morning. This stunning feat of modern engineering links Marina Centre and Marina South in Marina Bay. It is Singapore’s longest pedestrian bridge at 280 metres and the world’s first curved bridge. In fact, it is more like a work of art, with its double helix structure modelled on the structure of DNA to symbolise life, continuity, renewal and growth; especially when it is lit up at night by a colourful show of lights. It beautifully combines practical concerns, such as the strength to support up to 16,000 people at one time and reducing the need for maintenance, with aesthetics. Its spirals cleverly create shade for pedestrians walking over it, and viewing platforms are incorporated to allow space to enjoy the views. It is free to access and open 24 hours! 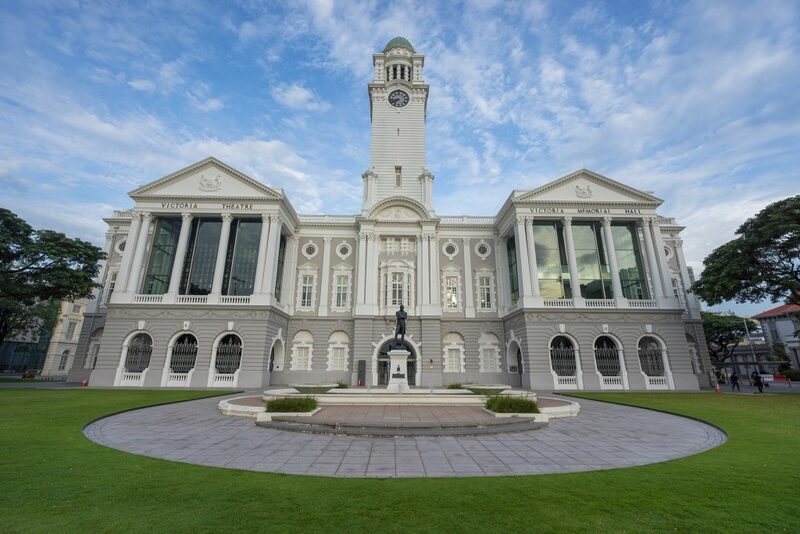 This stunning performing arts venue is one of Singapore’s oldest, first established in 1862. Its iconic clock tower and façade with stately Corinthian columns make it one of the most recognisable landmarks in the city. It is set on the banks of the Singapore River close to where Sir Stamford Raffles, founder of modern-day Singapore, first landed. It is made up of two buildings, which were reopened in 2014 after undergoing a full renovation to restore it to its original neo-classical structure, dating from 1905, whilst bringing its amenities bang up to date with cutting-edge technology. What is now the Victoria Theatre served as Singapore’s Town Hall between 1855 and 1862. The Victoria Concert Hall, built between 1902 and 1905 and dedicated to Queen Victoria, is nowadays home to the renowned Singapore Symphony Orchestra. Built in classical style, its focal point is a grand Klais pipe organ with over 2000 pipes. To find out more refer to the Museums section. To find out more refer to the Places of Worship section.